This article is about the land in North America. For other uses, see Acadia (disambiguation). "L'Acadie" redirects here. For the Quebec town, see L'Acadie, Quebec. For the Canadian wine grape, see L'Acadie blanc. Acadia (French: Acadie) was a colony of New France in northeastern North America that included parts of eastern Quebec, the Maritime provinces, and modern-day Maine to the Kennebec River. 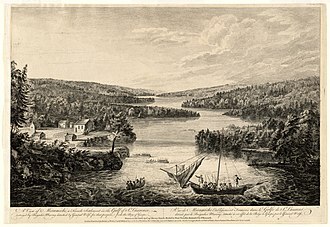 During much of the 17th and early 18th centuries, Norridgewock on the Kennebec River and Castine at the end of the Penobscot River were the southernmost settlements of Acadia. The actual specification by the French government for the territory refers to lands bordering the Atlantic coast, roughly between the 40th and 46th parallels. Later, the territory was divided into the British colonies that became Canadian provinces and American states. The population of Acadia included members of the Wabanaki Confederacy and descendants of emigrants from France (i.e., Acadians). The two communities intermarried, which resulted in a significant portion of the population of Acadia being Métis. 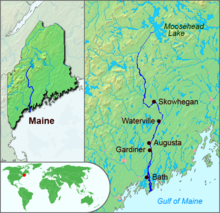 The border between Acadia and New England, as claimed by the French, was the Kennebec River, seen here on a map of modern Maine. 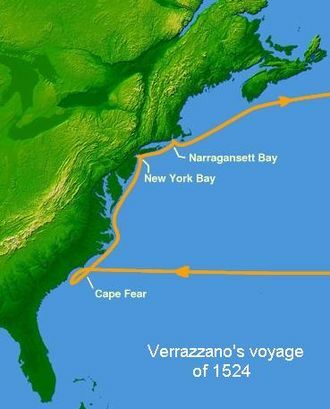 The origin of the designation Acadia is credited to the explorer Giovanni da Verrazzano, who on his 16th-century map applied the ancient Greek name "Arcadia" (note the inclusion of the r) to the entire Atlantic coast north of Virginia. "Arcadia" derives from the Arcadia district in Greece, which since Classical antiquity had the extended meanings of "refuge" or "idyllic place". The Dictionary of Canadian Biography says: "Arcadia, the name Verrazzano gave to Maryland or Virginia 'on account of the beauty of the trees,' made its first cartographical appearance in the 1548 Gastaldo map and is the only name on that map to survive in Canadian usage." 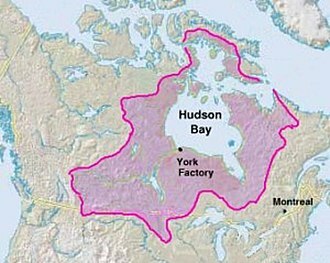 In 1603 a colony south of the St. Lawrence River between the 40th and 46th parallels was chartered by Henry IV, who recognized the territory as La Cadie. Also in the 17th century, Samuel de Champlain fixed its present orthography with the r omitted. William Francis Ganong, a cartographer, has shown its gradual progress northeastwards, in a succession of maps, to its resting place in the Atlantic provinces of Canada. Also of note is the similarity in the pronunciation of Acadie and the Míkmawísimk suffix -akadie, which means "a place of abundance." The modern usage is still seen in place names such as Shunacadie (meaning "place of abundant cranberries") or Shubenacadie (meaning "place of abundant wild potatoes"). It is thought that intercultural conversation between early French traders and Mi'kmaq hunters may have resulted in the name l'Arcadie being changed to l'Acadie. Present-day Nova Scotia with as capital Port Royal. Lost to Great Britain in 1713. Present-day New Brunswick, which remained part of Nova Scotia until 1784 until becoming its own colony in 1785. Île-Royale, later Cape Breton Island, with the Fortress of Louisbourg. Lost to Great Britain in 1763. Île Saint-Jean, later Prince Edward Island. Lost to Great Britain in 1763. The part of present-day Maine east of the Kennebec River. Became part of the New England Colonies in 1727. The history of Acadia was significantly influenced by the warfare that took place on its soil during the 17th and 18th century. Prior to that time period, the Mi'kmaq lived in Acadia for centuries. The French arrived in 1604, claiming the Mi'kmaq lands for the King of France. Despite this, the Mi'kmaq tolerated the presence of the French in exchange for favours and trade. Catholic Mi'kmaq and Acadians were the predominant populations in the colony for the next 150 years. Early European colonists, who would later become known as Acadians, were French subjects primarily from the Pleumartin to Poitiers in the Vienne département of west-central France. The first French settlement was established by Pierre Dugua des Monts, Governor of Acadia, under the authority of King Henry IV, on Saint Croix Island in 1604. The following year, the settlement was moved across the Bay of Fundy to Port Royal after a difficult winter on the island and deaths from scurvy. In 1607 the colony received bad news: King Henry had revoked Sieur de Monts' royal fur monopoly, citing that the income was insufficient to justify supplying the colony further. Thus recalled, the last of the Acadians left Port Royal in August 1607. Their allies, the native Mi'kmaq nation, kept careful watch over their possessions, though. When the former lieutenant governor, Jean de Biencourt de Poutrincourt et de Saint-Just, returned in 1610, he found Port Royal just as it was left. 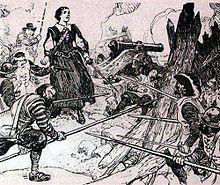 During the first 80 years, the French and Acadians were in Acadia, there were ten significant battles as the English, Scottish, Dutch and French fought for possession of the colony. These battles happened at Port Royal, Saint John,[b] Cap de Sable (present-day Port La Tour, Nova Scotia), Jemseg, Castine and Baleine. During the next 74 years, there were six colonial wars that took place in Nova Scotia and Acadia (see the French and Indian Wars as well as Father Rale's War and Father Le Loutre's War). These wars were fought between New England and New France and their respective native allies before the British defeated the French in North America (1763). 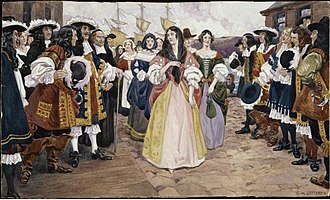 After the British Siege of Port Royal in 1710, mainland Nova Scotia was under the control of British colonial government, but both present-day New Brunswick and virtually all of present-day Maine remained contested territory between New England and New France. The war was fought on two fronts: the southern border of Acadia, which New France defined as the Kennebec River in southern Maine. The other front was in Nova Scotia and involved preventing the British from taking the capital of Acadia, Port Royal (See Queen Anne's War), establishing themselves at Canso (See Father Rale's War) and founding Halifax (see Father Le Loutre's War). From 1640 to 1645, Acadia was plunged into what some historians have described as a civil war. The war was between Port Royal, where the Governor of Acadia Charles de Menou d'Aulnay de Charnisay was stationed, and present-day Saint John, New Brunswick, where Governor of Acadia Charles de Saint-Étienne de la Tour was stationed. There were four major battles in the war, and d'Aulnay ultimately prevailed over La Tour. During King Philip's War (1675–78), the governor was absent from Acadia (having first been imprisoned in Boston during the Dutch occupation of Acadia) and Jean-Vincent d'Abbadie de Saint-Castin was established at the capital of Acadia, Pentagouêt. From there he worked with the Abenaki of Acadia to raid British settlements migrating over the border of Acadia. British retaliation included attacking deep into Acadia in the Battle off Port La Tour (1677). In response to King Philip's War in New England, the native peoples in Acadia joined the Wabanaki Confederacy to form a political and military alliance with New France. The Confederacy remained significant military allies to New France through six wars. Until the French and Indian War the Wabanaki Confederacy remained the dominant military force in the region. There were tensions on the border between New England and Acadia, which New France defined as the Kennebec River in southern Maine. English settlers from Massachusetts (whose charter included the Maine area) had expanded their settlements into Acadia. To secure New France's claim to Acadia, it established Catholic missions (churches) among the four largest native villages in the region: one on the Kennebec River (Norridgewock); one further north on the Penobscot River (Penobscot); one on the Saint John River (Medoctec); and one at Shubenacadie (Saint Anne's Mission). During King William's War (1688–97), some Acadians, the Wabanaki Confederacy and the French Priests participated in defending Acadia at its border with New England, which New France defined as the Kennebec River in southern Maine. Toward this end, the members of the Wabanaki Confederacy, on the Saint John River and in other places, joined the New France expedition against present-day Bristol, Maine (the Siege of Pemaquid (1689)), Salmon Falls and present-day Portland, Maine. In response, the New Englanders retaliated by attacking Port Royal and present-day Guysborough. In 1694, the Wabanaki Confederacy participated in the Raid on Oyster River at present-day Durham, New Hampshire. Two years later, New France, led by Pierre Le Moyne d'Iberville, returned and fought a naval battle in the Bay of Fundy before moving on to raid Bristol, Maine again. 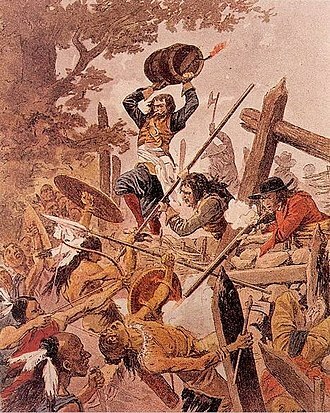 In retaliation, the New Englanders, led by Benjamin Church, engaged in a Raid on Chignecto (1696) and the siege of the Capital of Acadia at Fort Nashwaak. At the end of the war England returned the territory to France in the Treaty of Ryswick and the borders of Acadia remained the same. During Queen Anne's War, some Acadians, the Wabanaki Confederacy and the French priests participated again in defending Acadia at its border with New England. They made numerous raids on New England settlements along the border in the Northeast Coast Campaign and the famous Raid on Deerfield. 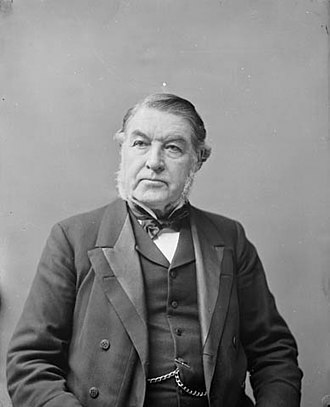 In retaliation, Major Benjamin Church went on his fifth and final expedition to Acadia. He raided present-day Castine, Maine and continued with raids against Grand Pre, Pisiquid, and Chignecto. A few years later, defeated in the Siege of Pemaquid (1696), Captain March made an unsuccessful siege on the Capital of Acadia, Port Royal (1707). British forces were successful with the Siege of Port Royal (1710), while the Wabanaki Conferacy were successful in the nearby Battle of Bloody Creek (1711) and continued raids along the Maine frontier. The 1710 conquest of the Acadian capital of Port Royal during the war was confirmed by the Treaty of Utrecht of 1713. The British conceded to the French "the island called Cape Breton, as also all others, both in the mouth of the river of St. Lawrence, and in the gulph of the same name", and "all manner of liberty to fortify any place or places there." The French established a fortress at Louisbourg, Cape Breton, to guard the sea approaches to Quebec. On 23 June 1713, the French residents of Nova Scotia were given one year to declare allegiance to Britain or leave the region. In the meantime, the French signalled their preparedness for future hostilities by beginning the construction of Fortress Louisbourg on Île Royale, now Cape Breton Island. The British grew increasingly alarmed by the prospect of disloyalty in wartime of the Acadians now under their rule. French missionaries worked to maintain the loyalty of Acadians, and to maintain a hold on the mainland part of Acadia. French map of 1720 North America. Acadie extends clearly into present-day New Brunswick. During the escalation that preceded Dummer's War (1722–1725), some Acadians, the Wabanaki Confederacy and the French priests persisted in defending Acadia, which had been conceded to the British in the Treaty of Utrecht, at its border against New England. The Mi'kmaq refused to recognize the treaty handing over their land to the English and hostilities resumed. The Mi'kmaq raided the new fort at Canso, Nova Scotia in 1720. The Confederacy made numerous raids on New England settlements along the border into New England. 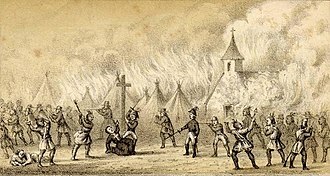 Towards the end of January 1722, Governor Samuel Shute chose to launch a punitive expedition against Sébastien Rale, a Jesuit missionary, at Norridgewock. This breach of the border of Acadia, which had at any rate been ceded to the British, drew all of the tribes of the Wabanaki Confederacy into the conflict. 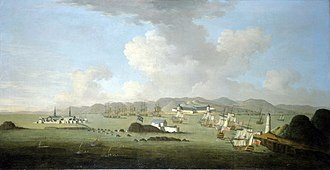 Under potential siege by the Confederacy, in May 1722, Lieutenant Governor John Doucett took 22 Mi'kmaq hostage at Annapolis Royal to prevent the capital from being attacked. In July 1722, the Abenaki and Mi'kmaq created a blockade of Annapolis Royal, with the intent of starving the capital. The natives captured 18 fishing vessels and prisoners from present-day Yarmouth to Canso. They also seized prisoners and vessels from the Bay of Fundy. As a result of the escalating conflict, Massachusetts Governor Shute officially declared war on 22 July 1722. The first battle of Father Rale's War happened in the Nova Scotia theatre. [c] In response to the blockade of Annapolis Royal, at the end of July 1722, New England launched a campaign to end the blockade and retrieve over 86 New England prisoners taken by the natives. One of these operations resulted in the Battle at Jeddore. The next was a raid on Canso in 1723. Then in July 1724 a group of sixty Mikmaq and Maliseets raided Annapolis Royal. 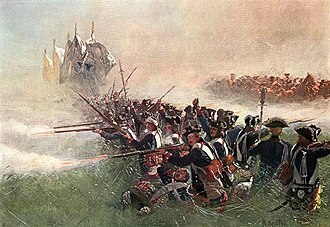 As a result of Father Rale's War, present-day central Maine fell again to the British with the defeat of Sébastien Rale at Norridgewock and the subsequent retreat of the native population from the Kennebec and Penobscot rivers. 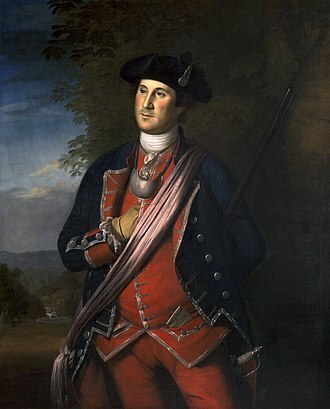 King George's War began when the war declarations from Europe reached the French fortress at Louisbourg first, on May 3, 1744, and the forces there wasted little time in beginning hostilities. Concerned about their overland supply lines to Quebec, they first raided the British fishing port of Canso on May 23, and then organized an attack on Annapolis Royal, then the capital of Nova Scotia. However, French forces were delayed in departing Louisbourg, and their Mi'kmaq and Maliseet allies decided to attack on their own in early July. 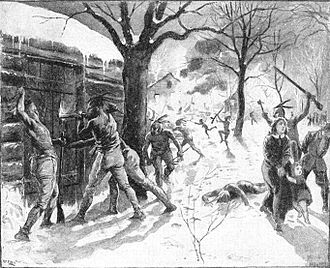 Annapolis had received news of the war declaration, and was somewhat prepared when the Indians began besieging Fort Anne. Lacking heavy weapons, the Indians withdrew after a few days. Then, in mid-August, a larger French force arrived before Fort Anne, but was also unable to mount an effective attack or siege against the garrison, which had received supplies and reinforcements from Massachusetts. 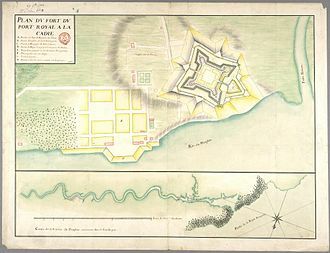 In 1745, British colonial forces conducted the Siege of Port Toulouse (St. Peter's) and then captured Fortress Louisbourg after a siege of six weeks. France launched a major expedition to recover Acadia in 1746. Beset by storms, disease, and finally the death of its commander, the Duc d'Anville, it returned to France in tatters without reaching its objective. French officer Jean-Baptiste Nicolas Roch de Ramezay also arrived from Quebec and conducted the Battle at Port-la-Joye on Île Saint-Jean and the Battle of Grand Pré. Despite the British capture of the Acadian capital in the Siege of Port Royal (1710), Nova Scotia remained primarily occupied by Catholic Acadians and Mi'kmaq. To prevent the establishment of Protestant settlements in the region, Mi'kmaq raided the early British settlements of present-day Shelburne (1715) and Canso (1720). A generation later, Father Le Loutre's War began when Edward Cornwallis arrived to establish Halifax with 13 transports on 21 June 1749. [d] The British quickly began to build other settlements. To guard against Mi'kmaq, Acadian and French attacks on the new Protestant settlements, they erected fortifications in Halifax (Citadel Hill) (1749), Dartmouth (1750), Bedford (Fort Sackville) (1751), Lunenburg (1753) and Lawrencetown (1754). There were numerous Mi'kmaq and Acadian raids on these villages such as the Raid on Dartmouth (1751). Within 18 months of establishing Halifax, the British also took firm control of peninsular Nova Scotia by building fortifications in all the major Acadian communities: present-day Windsor (Fort Edward, 1750); Grand Pre (Fort Vieux Logis, 1749) and Chignecto (Fort Lawrence, 1750). (A British fort already existed at the other major Acadian centre of Annapolis Royal, Nova Scotia. Cobequid remained without a fort.) Numerous Mi'kmaq and Acadian raids took place against these fortifications, such as the Siege of Grand Pre (1749). In the years after the British conquest, the Acadians refused to swear unconditional oaths of allegiance to the British crown. During this time period some Acadians participated in militia operations against the British and maintained vital supply lines to Fortress Louisbourg and Fort Beausejour. During the French and Indian War, the British sought to neutralize any military threat Acadians posed and to interrupt the vital supply lines Acadians provided to Louisbourg by deporting them. This process began in 1755, after the British captured Fort Beauséjour and began the expulsion of the Acadians with the Bay of Fundy Campaign. Between six and seven thousand Acadians were expelled from Nova Scotia to the lower British American colonies. Some Acadians eluded capture by fleeing deep into the wilderness or into French-controlled Canada. The Quebec town of L'Acadie (now a sector of Saint-Jean-sur-Richelieu) was founded by expelled Acadians. 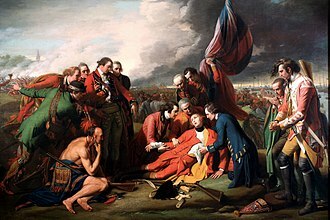 After the Siege of Louisbourg (1758), a second wave of the expulsion began with the St. John River Campaign, Petitcodiac River Campaign, Gulf of St. Lawrence Campaign and the Île Saint-Jean Campaign. The Acadians and the Wabanaki Confederacy created a significant resistance to the British throughout the war. They repeatedly raided Canso, Lunenburg, Halifax, Chignecto and into New England. Any pretense that France might maintain or regain control over the remnants of Acadia came to an end with the fall of Montreal in 1760 and the 1763 Treaty of Paris, which permanently ceded almost all of eastern New France to Britain. 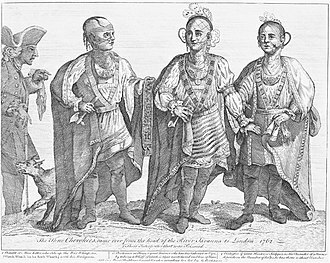 In 1763, Britain would designate lands west of the Appalachians as the "Indian Reserve", but did not respect Mi'kmaq title to the Atlantic region, claiming title was obtained from the French. The Mi'kmaq remain in Acadia to this day. 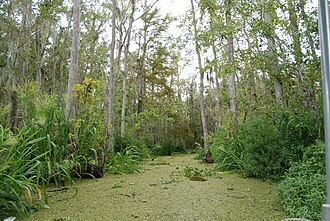 After 1764, many exiled Acadians finally settled in Louisiana, which had been transferred by France to Spain at the end of the French and Indian War. The demonym Acadian was corrupted to Cajun, which was first used as a pejorative term until its later mainstream acceptance. Britain eventually moderated its policies and allowed Acadians to return to Nova Scotia. The following list includes those who were born in Acadia or those who became naturalized citizens prior to the fall of the French in the region in 1763. Those who came for brief periods from other countries are not included (e.g. John Gorham, Edward Cornwallis, James Wolfe, Boishébert, etc.). Acadia was located in territory disputed between France and Great Britain. England controlled the area from 1621 to 1632 (see William Alexander, 1st Earl of Stirling) and again from 1654 until 1670 (see William Crowne and Thomas Temple), with control permanently regained by its successor state, the Kingdom of Great Britain, in 1710 (ceded under the Treaty of Utrecht in 1713). Although France controlled the territory in the remaining periods, French monarchs consistently neglected Acadia. Civil government under the French regime was held by a series of Governors (see List of governors of Acadia). The government of New France was located in Quebec, but it had only nominal authority over the Acadians. The Acadians implemented village self-rule. 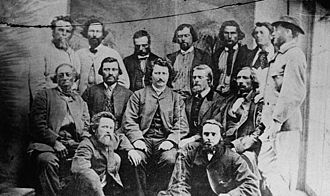 Even after Canada had given up its elected spokesmen, the Acadians continued to demand a say in their own government, as late as 1706 petitioning the monarchy to allow them to elect spokesmen each year by a plurality of voices. 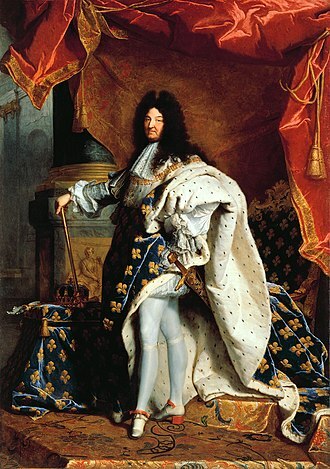 In a sign of his indifference to the colony, Louis XV agreed to their demand. This representative assembly was a direct offshoot of a government system that developed out of the seigneurial and church parish imported from Europe. The seigneurial system was a "set of legal regimes and practices pertaining to local landholding, politics, economics, and jurisprudence." It should be noted that many of the French Governors of Acadia prior to Hector d'Andigné de Grandfontaine held seigneuries in Acadia. As Seigneur, in addition to the power held as governor, they held the right to grant land, collect their seigneurial rents, and act in judgement over disputes within their domain. After Acadia came under direct Royal rule under Grandfontaine the Seigneurs continued to fulfill governance roles. 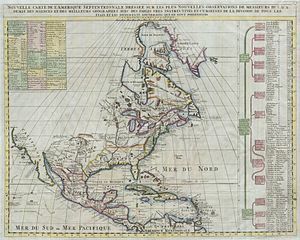 The Acadian seignuerial system came to an end when the British Crown bought the seigneurial rights in the 1730s. The Catholic parish system along with the accompanying parish priest also aided in the development Acadian self-government. Priests, given their respected position, often assisted the community in representation with the civil government located at Port Royal/Annapolis Royal. Within each parish the Acadians used the elected "marguilliers" (wardens) of the "conseil de fabrique" to administer more than just the churches' affairs in the Parishes. The Acadians extended this system to see to the administrative needs of the community in general. The Acadians protected this structure from the priests and were "No mere subordinates to clerical authority, wardens were "always suspicious of any interference by the priests" in the life of the rural parish, an institution which was, ... , largely a creation of the inhabitants." During the British regime many of the Deputies were drawn from this marguillier group. The Acadians occupied a borderland region of the British and French empires. As such the Acadian homeland was subjected to the ravages of war on numerous occasions. Through experience the Acadians learned to distrust imperial authorities (British and French). This is evidenced in a small way when Acadians were uncooperative with census takers. Administrators complained of constant in-fighting among the population, which filed many petty civil suits with colonial magistrates. Most of these were over boundary lines, as the Acadians were very quick to protect their new lands. After 1710, the British military administration continued to utilize the deputy system the Acadians had developed under French colonial rule. Prior to 1732 the deputies were appointed by the governor from men in the districts of Acadian families "as ancientest and most considerable in Lands & possessions,". This appears to be in contravention of various British penal laws which made it nearly impossible for Roman Catholics and Protestant recusants to hold military and government positions. The need for effective administration and communication in many of the British colonies trumped the laws. In 1732 the governance institution was formalized. Under the formalized system the colony was divided into eight districts. Annually on October 11 free elections were to take place where each district, depending on its size, was to elect two, three, or four deputies. In observance of the Lord's Day, if October 11 fell on a Sunday the elections were to take place on the immediately following Monday. Notice of the annual election was to be given in all districts thirty days before the election date. Immediately following election, deputies, both outgoing and incoming, were to report to Annapolis Royal to receive the governor's approval and instructions. Prior to 1732 deputies had complained about the time and expense of holding office and carrying out their duties. Under the new elected deputy system each district was to provide for the expenses of their elected deputies. The duties of the deputies were broad and included reporting to the government in council the affairs of the districts, distribution of government proclamations, assistance in the settlement of various local disputes (primarily related to land), and ensuring that various weights and measures used in trade were "Conformable to the Standard". In addition to deputies, several other public positions existed. Each district had a clerk who worked closely with the deputies and under his duties recorded the records and orders of government, deeds and conveyances, and kept other public records. With the rapid expansion of the Acadian populace, there was also a growing number of cattle and sheep. The burgeoning herds and flocks, often free-ranging, necessitated the creation of the position of Overseer of Flocks. 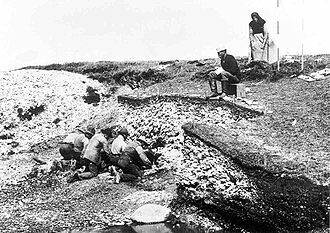 These individuals controlled where the flocks grazed, settled disputes and recorded the names of individuals slaughtering animals to ensure proper ownership. Skins and hides were inspected for brands. After the purchase by the British Crown of the seigniorial rights in Acadia, various rents and fees were due to the Crown. In the Minas, Piziquid and Cobequid Districts the seigniorial fees were collected by the "Collector & Receiver of All His Majesty's Quit Rents, Dues, or Revenues". The Collector was to keep a record of all rents and other fees collected, submit the rents to Annapolis Royal, and retain fifteen percent to cover his expenses. After a 1692 visit, Antoine Laumet de La Mothe, sieur de Cadillac, described the Acadian men as "'well-built, of good height, and they would be accepted without difficulty as soldiers in a guards' regiment. [They are] well-proportioned and their hair is usually blond. [They are] robust, and will endure great fatigue; [they] are fine subjects of the king, passionately loving the French of Europe'". Charles Morris describes the Acadians as being "...tall and well proportioned, they delight much in wearing long hair, they are of dark complexion, in general, and somewhat of the mixture of Indians; but there are some of a light complexion. 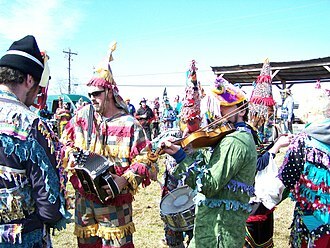 They retain the language and customs of their neighbours the French, with a mixed affectation of the native Indians, and imitate them in their haunting and wild tones in their merriment; they are naturally full cheer and merry, subtle, speak and promise fair..." Most Acadians were illiterate, and many of the records, including notarial deeds, were destroyed or scattered during the Great Expulsion. For a time, Port Royal did have schools, but these were closed when the British excluded Roman Catholic religious orders from operating in Acadia. Despite their nominal faith, Acadians often worked on Sundays and religious holidays. Before 1654, trading companies and patent holders concerned with fishing recruited men in France to come to Acadia to work at the commercial outposts. The original Acadian population was a small number of indentured servants and soldiers brought by the fur-trading companies. Gradually, fishermen began settling in the area as well, rather than return to France with the seasonal fishing fleet. The majority of the recruiting took place at La Rochelle. Between 1653 and 1654, 104 men were recruited at La Rochelle. Of these, 31% were builders, 15% were soldiers and sailors, 8% were food preparers, 6.7% were farm workers, and an additional 6.7% worked in the clothing trades. Fifty-five percent of Acadia's first families came from western and west-central France, primarily from Poitou, Aunis, Angoumois, and Saintonge. Over 85% of these (47% of the total), were former residents of the La Chaussée area of Poitou. Many of the families who arrived in 1632 with Razilly shared some blood ties; those not related by blood shared cultural ties with the others. The number of original immigrants was very small, and only about 100 surnames existed within the Acadian community. Although the majority of Acadian settlers came from France there were also members of the populace from Ireland, Spain (both Spanish and Basque), Portugal, England, Scotland, Belgium (Flemish), Channel Islands, and Croatia. Some of the earliest settlers married women of the local Mi'kmaq tribe who had converted to Roman Catholicism. A Parisian lawyer, Marc Lescarbot, who spent just over a year in Acadia, arriving in May 1606, described the Micmac as having "courage, fidelity, generosity, and humanity, and their hospitality is so innate and praiseworthy that they receive among them every man who is not an enemy. They are not simpletons. ... So that if we commonly call them Savages, the word is abusive and unmerited." Most of the immigrants to Acadia were peasants in Europe, making them social equals in this new context. 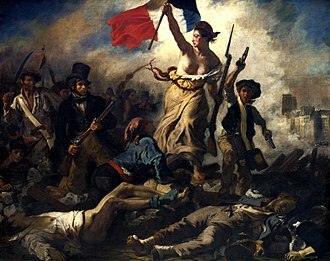 The colony had limited economic support or cultural contacts with France, leaving a "social vacuum" that allowed "individual talents and industry ... [to supplant] inherited social position as the measure of a man's worth." Acadians lived as social equals, with the elderly and priests considered slightly superior. Unlike the French colonists in Canada and the early English colonies in Plymouth and Jamestown, Acadians maintained an extended kinship system, and the large extended families assisted in building homes and barns, as well as cultivating and harvesting crops. They also relied on interfamily cooperation to accomplish community goals, such as building dikes to reclaim tidal marshes. Marriages were generally not love matches but were arranged for economic or social reasons. Parental consent was required for anyone under 25 who wished to marry, and both the mother's and father's consent was recorded in the marriage deed. Divorce was not permitted in New France, and annulments were almost impossible to get. Legal separation was offered as an option but was seldom used. The Acadians were suspicious of outsiders and on occasion did not readily cooperate with census takers. The first reliable population figures for the area came with the census of 1671, which noted fewer than 450 people. By 1714, the Acadian population had expanded to 2,528 individuals, mostly from natural increase rather than immigration. Most Acadian women in the 18th century gave birth to living children an average of eleven times. Although these numbers are identical to those in Canada, 75% of Acadian children reached adulthood, many more than in other parts of New France. The isolation of the Acadian communities meant the people were not exposed to many of the imported epidemics, allowing the children to remain healthier. In the 18th century, some Acadians migrated to nearby Île Saint-Jean (now Prince Edward Island) to take advantage of the fertile cropland. In 1732, the island had 347 settlers but within 25 years its population had expanded to 5000 Europeans. The bulk of this population explosion on Île Saint-Jean took place in the early 1750s and has as its source Acadians removing themselves during the rising tensions on peninsular Nova Scotia after the settlement of Halifax in 1749. Le Loutre played a role in these removals through acts of encouragement and threats. The exodus to Île Saint-Jean became a flood with refugees fleeing British held territory after the initial expulsions of 1755. In 1714, a few Acadian families emigrated to Île Royale. These families had little property. But for the majority of Acadians, they could not be enticed by the French government to abandon their heritage and the land of their forefathers for an area which was unknown and uncultivated. Most Acadian households were self-sufficient, with families engaged in subsistence farming only for a few years while they established their farms. Very rapidly the Acadians established productive farms that yielded surplus crops that allowed them to trade with both Boston and Louisbourg. [e] Farms tended to remain small plots of land worked by individual families rather than slave labor. The highly productive dyked marshlands and cleared uplands produced an abundance of fodder that supported significant production of cows, sheep and pigs. Farmers grew various grains: wheat, oats, barley, hops and rye; vegetables: peas, cabbage, turnips, onions, carrots, chives, shallots, asparagus, parsnips and beets; fruit: apples, pears, cherries, plums, raspberry and white strawberry. In addition they grew crops of hemp and flax for the production of cloth, rope, etc. From the rivers, estuaries and seas they harvested shad, smelts, gaspereau, cod, salmon, bass, etc., utilizing fish traps in the rivers, weirs in the inter-tidal zone and from the sea with lines and nets from their boats. The fishery was pursued on a commercial basis as in 1715 at the Minas Basin settlements, when the Acadian population there numbered only in the hundreds, they had "between 30 - 40 sail of vessels, built by themselves, which they employ in fishing" reported Lieutenant-Governor Thomas Caulfield to the Board of Trade. Charles Morris observed the Acadians at Minas hunting beluga whales. The Acadians also varied their diets by hunting for moose, hare, ducks and geese, and pigeon. 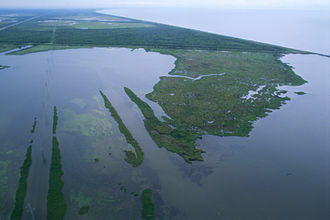 After 1630, the Acadians began to build dikes and drain the sea marsh above Port Royal. The high salinity of the reclaimed coastal marshland meant that the land would need to sit for three years after it was drained before it could be cultivated. The land reclamation techniques that were used closely resembled the enclosures near La Rochelle that helped make solar salt. As time progressed, the Acadian agriculture improved, and Acadians traded with the British colonies in New England to gain ironware, fine cloth, rum, and salt. During the French administration of Acadia, this trade was illegal, but it did not stop some English traders from establishing small stores in Port Royal. Under English rule, the Acadians traded with New England and often smuggled their excess food to Boston merchants waiting at Baie Verte for transshipment to the French at Louisbourg on Cape Breton Island. Many adult sons who did not inherit land from their parents settled on adjacent vacant lands to remain close to their families. As the Acadian population expanded and available land became limited around Port Royal, new settlements took root to the northeast, in the Upper Bay of Fundy, including Mines, Pisiquid, and Beaubassin. Many of the pioneers into that area persuaded some of their relatives to accompany them, and most of the frontier settlements contained only five to ten interrelated family units. ^ For the 144 years prior to the founding of Halifax (1749), Port Royal/Annapolis Royal was the capital of Acadia for 112 of those years (78% of the time). The other locations that served as the Capital of Acadia are: LaHave, Nova Scotia (1632–1636 ); present day Castine, Maine (1670–1674); Beaubassin (1678–1684); Jemseg, New Brunswick(1690–1691); present day Fredericton, New Brunswick (1691–1694), and present day Saint John, New Brunswick (1695–1699). ^ Until 1784, New Brunswick was considered part of Nova Scotia. ^ Fowler's analysis of census records and other primary documents reveal that most farms by 1686 were producing in livestock alone, on a per capita basis, twice as much as was needed for their own consumption. This does not include food crops and the animals harvested from the natural environment. ^ a b c d Williamson 1832, pp. 27, 266, 293. ^ a b Reid, John G. (1998). "An International Region of the Northeast: Rise and Decline, 1635–1762". In Buckner, Phillip A.; Campbell, Gail G.; Frank, David. The Acadiensis Reader: Atlantic Canada Before Confederation (third ed.). Acadiensis Press. p. 31. ISBN 978-0-9191-0744-1. ^ a b c Griffiths, N.E.S. (2005). From Migrant to Acadian: A North American Border People, 1604-1755. McGill-Queen's University Press. ISBN 978-0-7735-2699-0. ^ Dunn, Brenda (2004). A History of Port-Royal-Annapolis Royal, 1605-1800. Nimbus Publishing, Limited. ISBN 978-1-55109-740-4. ^ Chalmers, George (1790). A Collection of Treaties Between Great Britain and Other Powers. J. Stockdale. p. 381. ^ Beaujot, Roderic (1998). "Demographic Considerations in Canadian Language Policy". In Ricento, Thomas K.; Burnaby, Barbara. Language and Politics in the United States and Canada: Myths and Realities. Routledge. ISBN 978-1-135-68104-3. ^ Morley, William F. E. (1979) . "Verrazzan, Diovanni da". In Brown, George Williams. Dictionary of Canadian Biography. I (1000–1700) (online ed.). University of Toronto Press. ^ Lescarbot, Marc (1928). Nova Francia: A Description of Acadia, 1606. RoutledgeCurzon. p. 1. ISBN 978-0-415-34468-5. ^ Faragher 2005, p. 6. ^ Faragher 2005, pp. 17–19. ^ MacDonald, M.A. (1983). Fortune & La Tour: the Civil War in Acadia. Methuen. ^ Prins, Harald E. L. (March 1999). Storm Clouds Over Wabanaki: Confederacy Diplomacy until Dummer's Treaty (1727). The Atlantic Policy Congress of First Nations Chiefs. Amherst, Nova Scotia. ^ Grenier 2008, pp. 51, 54. ^ Meductic Indian Village / Fort Meductic National Historic Site of Canada. Canadian Register of Historic Places. ^ Meductic Indian Village / Fort Meductic National Historic Site of Canada. 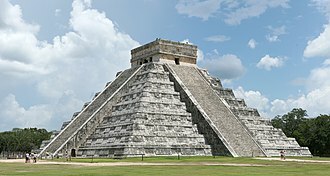 Directory of Federal Heritage Designations. Parks Canada. ^ "Mission Sainte-Anne: Shubenacadie, Nova Scotia". Northeast Archaeological Research. Archived from the original on October 11, 2012. ^ Drake, Samuel Adams (1897). The Border Wars of New England. Charles Scribner's Sons. pp. 264–266. ^ Peace and Friendship Treaty of Utrecht between France and Great Britain . 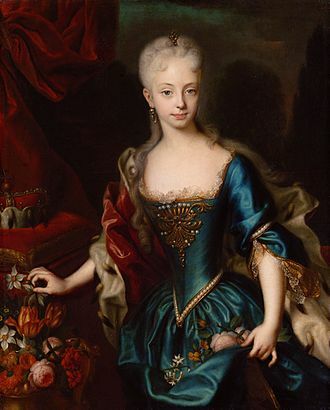 1713. Article XIII – via Wikisource. ^ Doughty, Arthur G. (1916). "The Oath of Allegiance". The Acadian exiles: a chronicle of the land of Evangeline. Brook and Company. pp. 28–46. ^ "Acadian HeartlandRecords of the Deportation and Le Grand Dérangement, 1714-1768". Nova Scotia Archives. pp. 263–267 footnote. ^ "Our Acadian Heritage: Oath Of Allegiance Becomes Sticking Point With Acadians". Les Doucet du Monde. ^ Grenier 2008, p. 56. ^ a b Murdoch 1865, p. 399. ^ Murdoch 1865, p. 398. ^ Plank, Geoffrey (2001). An Unsettled Conquest: The British Campaign Against the Peoples of Acadia. University of Pennsylvania Press. p. 78. ISBN 0-8122-1869-8. ^ Grenier 2008, p. 62. ^ Faragher 2005, pp. 164–165. ^ Dunn 2004, p. 123. ^ Akins, Thomas B. (1895). History of Halifax City. Nova Scotia Historical Society. p. 7. ^ a b Grenier 2005. ^ a b Grenier 2008. ^ Patterson, Stephen E. (1998). "Indian-White Relations in Nova Scotia, 1749–61: A Study in Political Interaction". In Buckner, Phillip A.; Campbell, Gail G.; Frank, David. The Acadiensis Reader: Atlantic Canada Before Confederation (third ed.). Acadiensis Press. pp. 105–106. ISBN 978-0-9191-0744-1. ^ Patterson, Stephen E. (1994). "Colonial Wars and Aboriginal Peoples". In Buckner, Phillip; Reid, John G. The Atlantic Region to Confederation: A History. University of Toronto Press. p. 144. ISBN 978-1-4875-1676-5. ^ Mouhot, Jean-Francois (2009). Les Réfugiés Acadiens en France (1758–1785): L'Impossible réintégration? [The Acadian Refugees in France, 1758-1785: The Impossible Reitergration?] (in French). Editions du Septentrion. ISBN 978-2-8944-8513-2. ^ Lacoursière, Jacques (1995). Histoire populaire du Québec, Tome 1, des origines à 1791 [Folk History of Quebec, Volume 1: From origins to 1791] (in French). Éditions du Septentrion. p. 270. ISBN 978-2-8944-8739-6. ^ "Ville de Saint-Jean-sur-Richelieu history". Archived from the original on October 5, 2011. ^ a b c d e f g Moogk 2000, p. 7. ^ Moogk 2000, p. 9. ^ Moogk 2000, p. 176. ^ a b Moogk 2000, p. 175. ^ a b c d e f Fowler, Jonathan (2009). The Neutral French of Mi'kma'ki: And Archaeology of Acadian Identities Prior to 1755 (PhD Thesis). Oxford University. ^ a b c Brasseaux 1987, p. 8. ^ MacMechan 1900, p. 59, . ^ MacMechan 1900, p. 190, . ^ MacMechan 1900, p. 248, . ^ a b c Morris, Charles. A Brief Survey of Nova Scotia. The Royal Artillery Regimental Library, Woolwich, UK – via The National Archives of Canada. ^ a b c d Moogk 2000, p. 174. ^ a b Moogk 2000, p. 92. ^ White, Stephen (1992). Patronymes Acadiens/Acadian Family Names. Moncton, New Brunswick: Société du Monument Lefebvre. ^ Moogk 2000, p. 18. ^ Landry, Peter (2015) . "Marc Lescarbot". Early Nova Scotians: 1600-1867. Blupete. ^ a b Brasseaux 1987, p. 3. ^ a b Brasseaux 1987, p. 11. ^ Moogk 2000, p. 270. ^ Moogk 2000, p. 180. ^ Moogk 2000, p. 229. ^ Moogk 2000, p. 219. ^ Moogk 2000, p. 6. ^ Arsenault, Bona (2004). Histoire des Acadiens. Les Editions Fides. p. 114. ISBN 978-2-7621-2613-6. ^ Brasseaux 1987, p. 10. ^ Brasseaux 1987, p. 9. ^ Moogk 2000, p. 12. ^ Erskine, John S. (1975). The French Period in Nova Scotia. A.D. 1500-1758 And Present Remains a historical, archaeological, and botanical survey. Wolfville, Nova Scotia: Self Published. ^ Clark, Andrew Hill (1968). Acadia: the geography of early Nova Scotia to 1760. University of Wisconsin Press. ^ Brasseaux 1987, p. 16. ^ Moogk 2000, p. 178. ^ Brasseaux 1987, p. 12. Brasseaux, Carl A. (1987). The Founding of New Acadia: The Beginnings of Acadian Life in Louisiana, 1765–1803. Baton Rouge, LA: Louisiana State University Press. ISBN 0-8071-1296-8. Grenier, John (2005). The First Way of War: American War Making on the Frontier, 1607–1814. Cambridge University Press. ISBN 978-1-139-44470-5. MacMechan, Archibald, ed. (1900). Nova Scotia Archives II, A Calendar of Two Letter-Books and One Commission-Book in the Possession of the Government of Nova Scotia, 1713–1741. Halifax, Nova Scotia: Herald Printing House. Moogk, Peter (2000). La Nouvelle France: The Making of French Canada—A Cultural History. Michigan State University Press. ISBN 0-87013-528-7. Murdoch, Beamish (1865). A History of Nova-Scotia, Or Acadie. Vol. I. Halifax: James Barnes. Williamson, William D. (1832). The History of the State of Maine; from its Discovery, A.D. 1602, to the Separation, A.D. 1820, Inclusive. Volume II. Hallowell. Clark, Andrew Hill (1968). Acadia: the geography of early Nova Scotia to 1760. University of Wisconsin Press. ISBN 0-299-05080-7. Magord, André (2008). The Quest for Autonomy in Acadia. Études Canadiennes – Canadian Studies, 18. Brussels, Belgium: P.I.E. Peter Lang. ISBN 978-90-5201-476-0. Plank, Geoffrey (2001). An Unsettled Conquest: The British Campaign Against the Peoples of Acadia. University of Pennsylvania Press. ISBN 0-8122-1869-8. Smith, Philip Henry (1884). Acadia: A Lost Chapter in American History. Pawling, New York: Self Published. Richard, Édouard (1895). Acadia: Missing Links of a Lost Chapter in American History. Vol I. New York: Home Book Company. Richard, Édouard (1895). Acadia: Missing Links of a Lost Chapter in American History. Vol II. New York: Home Book Company. Wikivoyage has a travel guide for Acadian Coast. Wikisource has the text of the 1911 Encyclopædia Britannica article Acadie. Wikimedia Commons has media related to Acadia. The Magdalen Islands form a small archipelago in the Gulf of Saint Lawrence with a land area of 205.53 square kilometres. Though closer to Prince Edward Island and Nova Scotia, the islands part of the Canadian province of Quebec. The islands form the equivalent to a regional county municipality. The islands form the urban agglomeration of Les Îles-de-la-Madeleine, divided into two municipalities and these are Les Îles-de-la-Madeleine, the central municipality, and Grosse-Île. The mayors are Jonathan Lapierre and Rose Elmonde Clarke, there are eight major islands, Grande Entrée, Grosse-Île, House Harbour, Pointe-Aux-Loups, Entry Island and Brion. There are several tiny islands that are considered part of the archipelago, Rocher aux Oiseaux, Île aux Loups-marins, Île Paquet. The islands interiors were completely covered with pine forests. An ancient salt dome underlies the archipelago, the inherent buoyancy of the salt forces the uplift of overlying Permian red sandstone. Nearby salt domes are believed to be sources of fossil fuels, rock salt is mined on the Islands. In 1534 Jacques Cartier was the first European to visit the islands, Mikmaqs had been visiting the islands for hundreds of years as part of a seasonal subsistence migration, probably to harvest the abundant walrus population. A number of sites have been excavated on the archipelago. The archipelago was named in 1663 by François Doublet, the seigneur of the island, after his wife, in 1765, the islands were inhabited by 22 French-speaking Acadians and their families. They were working and hunting walruses for British trader Richard Gridley, to this day, many inhabitants of the Magdalen Islands fly the Acadian flag and identify as both Acadian and Québécois. The islands were administered as part of the British Colony of Newfoundland from 1763 until 1774 and that year they were joined to Quebec by the Quebec Act. A segment of the population are descendants of survivors of the more than 400 shipwrecks on the islands, the islands have some of Quebecs oldest English-speaking settlements. The islands are known for a childrens French camp, activities include sand-castle competitions and a night alone in the woods. 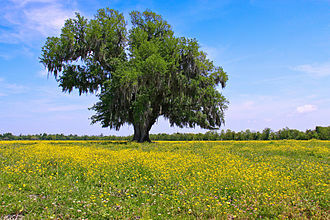 Acadiana, or The Heart of Acadiana, is the official name given to the French Louisiana region that is home to a large Francophone population. Many are of Acadian descent and are now identified as Cajun, of the 64 parishes that make up the U. S. state of Louisiana,22 named parishes and other parishes of similar cultural environment make up this intrastate region. The word Acadiana reputedly has two origins and its first recorded appearance dates to the mid-1950s, when a Crowley, newspaper, the Crowley Daily Signal, coined the term in reference to Acadia Parish, Louisiana. However, KATC television in Lafayette independently coined Acadiana in the early 1960s, giving it a new, broader meaning, founded in 1962, KATC was owned by the Acadian Television Corporation. In early 1963, the ABC affiliate received an invoice erroneously addressed to the Acadiana Television Corp, someone had typed an extra a at the end of the word Acadian. The station started using it to describe the region covered by its broadcast signal, the public, prefers the one-word place name Acadiana to refer to the region. The official term appears on maps and highway markers. Today, numerous business and nonprofit organizations incorporate Acadiana in their names, notably KLFY-TV, the regional CBS affiliate, used the term in its very successful Hello News branding campaign as Hello Acadiana. In 1965, Thomas J. Arceneaux designed a flag for Acadiana, Arceneaux was a professor at University of Southwestern Louisiana, now University of Louisiana at Lafayette. He derived the flag from the university seal, in 1974, the Louisiana legislature officially adopted Arceneauxs design as the official Acadiana flag. The gold tower on the red field represents Spain, which was governing Louisiana when the Acadians arrived, the flag is used in a variety of ways in the Acadiana region. Some local governments fly the flag of Acadiana with their respective local colors, many residents of Acadiana fly the flag on their homes or businesses. Many consider it a symbol of the historic and present socio-economic ties that bind the region, cajuns are the descendants of 18th-century Acadian exiles from what are now Canadas Maritime Provinces, expelled by the British and New Englanders during and after the French and Indian War. LAcadie blanc is a white Canadian wine grape variety that is a hybrid crossing of Cascade and Seyve-Villard 14-287. The grape was created in 1953 by grape breeder Ollie A. Bradt in Niagara, Ontario at the Vineland Horticultural Research Station which is now the Vineland Research, today the grape is widely planted in Nova Scotia with some plantings in Quebec and Ontario. Some wine writers, including those at Appellation America, consider LAcadie blanc as Nova Scotia’s equivalent to Chardonnay, the grape is considered a complex hybrid which means that it has genes from several different species of Vitis genus in its lineage. In contrast, around 99% of the wine is made from grapes belonging only to Vitis vinifera species. LAcadie blanc was created in 1953 by Ollie Bradt at the Vineland research center in Niagara, the grape is a crossing the Seibel grape Cascade and the Villard grape Seyve-Villard 14-287, both bred by French horticulturalist. Cuttings of the new grape variety were sent to the Kentville research station in Kentville, here the grape was given the name LAcadie blanc after Acadia, the former New France colony that is now part of The Maritimes in eastern Canada. LAcadie blanc is a hybrid with an extensive lineage that was mapped out by University of Guelph professor Helen Fisher. Within LAcadie blancs pedigree are members of several Vitis species including V. aestivalis, V. berlandieri, V. cinerea, V. labrusca, V. lincecumii, V. riparia, V. rupestris and V. vinifera. LAcadie blanc is a cold hardy vine able to withstand temperatures as low as −22 °C to −25 °C. The vine is an early to mid-ripening grape that has to the potential to be productive and high yielding if not kept in check by winter pruning. LAcadie blanc tends to produce loose bunches which gives it some protection towards the viticultural hazard of botrytis bunch rot, there have been successes growing certified organically. LAcadie blanc is most widely planted in Nova Scotia where its hardiness is valued. Other plantings exist in north-central Ontario and Quebec where the grapes strong disease resistance makes it a promising planting, in Quebec some of the warmer southern regions of the province tends to produce styles lacking acidity while Québécois plantings in cooler areas have been increasing. Castine is a town in Hancock County in eastern Maine, USA, which served from 1670 to 1674 as the capital of Acadia. The population was 1,366 at the 2010 census, Castine is the home of Maine Maritime Academy, a four-year institution that graduates officers and engineers for the United States Merchant Marine and marine related industries. During the French colonial period, Castine was the tip of Acadia. During the 17th and early 18th century, New France defined the Kennebec River as the boundary of Acadia. The town is named after Jean-Vincent dAbbadie de Saint-Castin, called Majabigwaduce by Tarrantine Abenaki Indians, Castine is one of the oldest towns in New England, predating the Plymouth Colony by seven years. Situated on Penobscot Bay, it is near the site of Fort Pentagouet, few places in New England have had a more tumultuous history than Castine, which proclaims itself the battle line of four nations. Majabagaduce changed hands numerous times with shifting imperial politics, at one time or another, it was occupied by the French and Englands Plymouth Colony. Castine was founded in the winter of 1613, when Claude de Saint-Etienne de la Tour established a trading post to conduct business with the Tarrantine Indians. There is evidence that de La Tour immediately challenged the English action by re-establishing his trading post in the wake of Argalls raid, captain John Smith charted the area in 1614 and referred to French traders in the vicinity. In 1625, Charles de Saint-Étienne de la Tour erected a fort named Fort Pentagouet, English colonists from the Plymouth Colony seized it in 1628, and made it an administrative outpost of their colony. Colonial Governor William Bradford personally traveled there to claim it, in 1635, it was retaken by the French and again incorporated into Acadia, Governor Isaac de Razilly sent Charles de Menou dAulnay de Charnisay to retake the village. In 1638, dAulnay built a substantial fort named Fort St. Pierre. Emmanuel Le Borgne with 100 men raided the settlement in 1653, Major General Robert Sedgwick led 100 New England volunteers and 200 of Oliver Cromwells soldiers on an expedition against Acadia in 1654. The site of the Norridgewock Native American village in Maine, in what is now Madison. 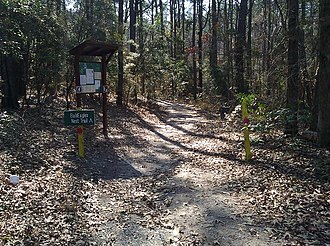 The rock at the side of the road bears a plaque marking the site. Marker commemorating the Dutch conquest of Acadia (1674), which was renamed New Holland. This is the spot where Jurriaen Aernoutsz buried a bottle at the capital of Acadia, Fort Pentagouët, Castine, Maine. In October 1749, Edward Cornwallis, the Governor of Nova Scotia, issued a proclamation against the Mi'kmaq in Acadia. A young L'Acadie blanc vine being trained. Pedro Ximénez, one of the great-grandparent varieties of L'Acadie blanc.